Registration for the 2019 Annual Meeting is now open. You can register here. EARLY REGISTRATION ENDS ON NOVEMBER 9. Reservations at the conference hotel are now open as well. You can reserve your room in the appropriate room block here. Please reserve your room on or before December 14 to guarantee availability and our group rate. The annual Meeting Preliminary Program is online. You can view it here. A list of special events at the 2019 meeting can be viewed here. Committee meeting times and room assignments. Full abstracts for the meeting are now posted. You can view them here. Information on our 2019 Career Networking event is available here. The San Diego Local Guide is now available. Thank you to our local arrangements committee for their hard work in creating this guide. Professor Mary Beard will be presenting a public lecture on the evening of Saturday January 5. Dramatist Luis Alfaro will be giving a public lecture on Thursday January 3. Read the SCS Annual Meeting Harassment Statement. Read a letter by Michele Salzman, chair of the Program Committee, on special events taking place at the upcoming Sesquicentennial meeting. As you know, all proposed panels, workshops and seminar are submitted anonymously by the organizer(s) to the Program Committee. Thus the Program Committee makes its determination without knowing the identities of the organizer(s) or the participants. This has been the case for some time, and it ensures that decisions on acceptance are made without bias. Given that anonymity is part of the process when the Committee reads abstracts, it is up to organizers to take into account the diversity of participants in their proposed panels, workshops or seminars. The Program Committee strongly encourages organizers to strive for diversity. To that end, please note that the guidelines for submissions of panels, workshops, and seminars has been changed to include the recommendation that organizer(s) take diversity into account. 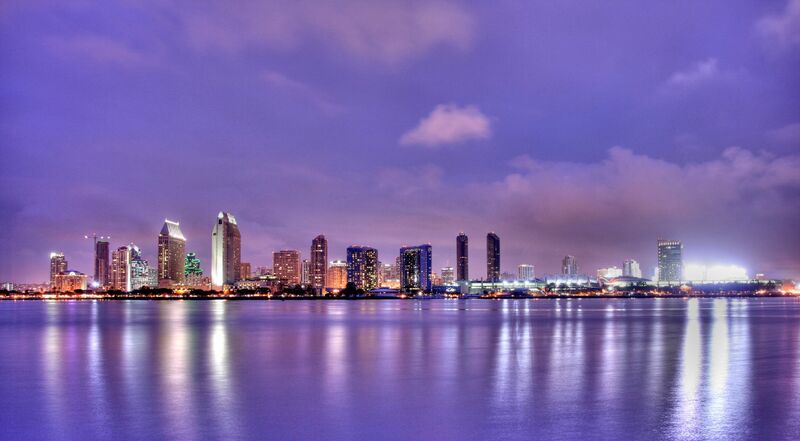 As the call for papers opens, I am excited to share with you the exciting developments that will be taking place at our the 2019 Annual Meeting in San Diego. It is going to be a special meeting since we will also be celebrating the Sesquicentennial of the SCS/ formerly APA. The Sesquicentennial Sub-Committee, comprised of Stephen Hinds, Matthew McGowan and myself, have been working hard with a wider SCS Committee to make this a memorable meeting. The SCS will be hosting two exciting plenary speakers; Mary Beard will be speaking on Classical Studies (topic to be determined) on Saturday evening. On Thursday evening, the playwright and theater director Luis Alfaro will be delivering a lecture to the public (topic to be determined). This lecture is organized and co-sponsored by Classics and Social Justice and the Onassis Foundation. In addition, there are several Sesquicentennial panels planned that will look at the past, present and future of Classical Studies. Ward Briggs has promised a paper on the history of the SCS/APA within the context of a panel on Classical Studies in the past. The Presidential Panel will address issues pertaining to the future of Classics in the Global 21st century. Other workshops are planned to deal with contemporary issues facing our field. The Program Committee – Raffaella Cribiore, Helene Foley, Simon Goldhill, Andrew Riggsby, Timothy Moore, Barbara Weiden Boyd, and I – will be working to put together a stimulating and rewarding Program. We want to encourage membership participation in the Annual Meeting on all levels. And there are numerous ways to do so, in some new formats. In addition to the Panels and Individual Abstract Submissions, it is now possible to submit a paper for a six-minute Lightning Talk. This is an experiment with a new format; each paper will have fourteen minutes of time devoted to discuss the argument or ideas presented. The Committee encourages members to take advantage of the Seminar Format; this is an excellent way to focus on a problem, text or issue with pre-circulated readings. There were no Seminars submitted last year, and the time is right to do so now. Round Tables, Posters and Workshops offer more flexible ways to address shared interests. Please think of how you can best participate in our upcoming 2019 Meeting. I guarantee there will be no polar blast in San Diego, though no promises on earthquakes. I look forward to seeing as many of you as possible in 2019! The Committee is also taking this opportunity to contemplate the future of Classics. Joe Farrell is planning a presidential panel on global classics. Stephen Hinds is organizing a panel on the “Future of Classics.” In addition, the SCS will feature recent developments in Digital Studies and Mapping, the latter being the subject of a panel being proposed by Richard Talbert, whose work that resulted in the Barrington Atlas for the Ancient World (Princeton, 2000; App for Ipad, 2013) was supported by the SCS. In light of recent challenges to the Humanities and Classics in particular, the Sesquicentennial Committee feels this is an important moment to reconsider the contribution of Classics and to contemplate its role in the 21st century. We encourage you to propose panels, papers, roundtables, or a newly designed option, six minute lightning talks. The Committee welcomes ideas, and you can email any one of its members directly. We look forward to celebrating the impact of Classics in the last 150 years at our 2019 Annual Meeting in January in San Diego.